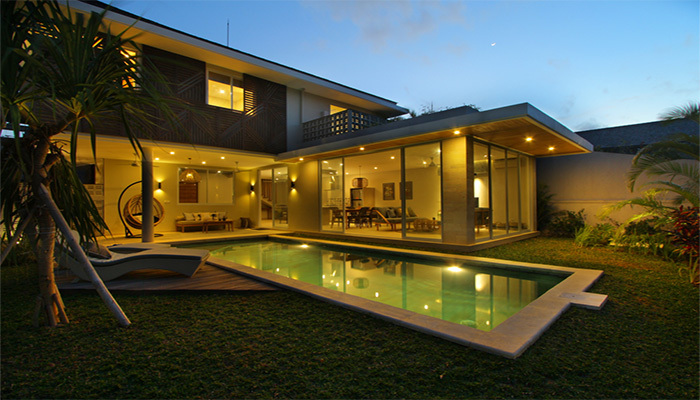 A subtle mix of modern and tropical architecture awaits you in this villa located at the end of private alley. This villa is composed of three bedrooms, each with its own dressing room and an en-suite bathroom. There are two living rooms, one is in the second floor. The atmosphere is fresh and original. The beach is just 800 meters away, while being close to the frenzy of Oberoi, Petitenget and the center of Seminyak. This property is ideal for your potential investment in Bali.